Talbott Recovery Campus is a rehabilitation center that offers treatment services to adults and young adults for alcohol, substance abuse, and dual-diagnosis disorders. The mission at Talbott Recovery Center is to provide compassionate and comprehensive treatment for co-occurring addiction and mental health disorders. The goal is to help people find healing and teach them tools through which they can maintain long-term recovery. The treatment programs are designed in a way to meet every individual’s unique needs and personality traits. Separate levels of care are offered at different stages of treatment based on the client’s individualized treatment plan. The center offers detoxification and stabilization, partial hospitalization, and intensive outpatient programs. A team of experienced professionals provide the right guidance, counseling, healing, and hope to clients in order to empower them in their journey to recovery. This is achieved through the application of historically-proven, evidence-based, and innovative therapies and treatment modalities that aim to heal the whole person physically, mentally, and emotionally. The center also offers alumni support services that lend support to clients that have completed their recovery journey at the facility and helps them in maintaining recovery through support groups and weekly meetings. This results in everlasting recovery and sobriety for clients. 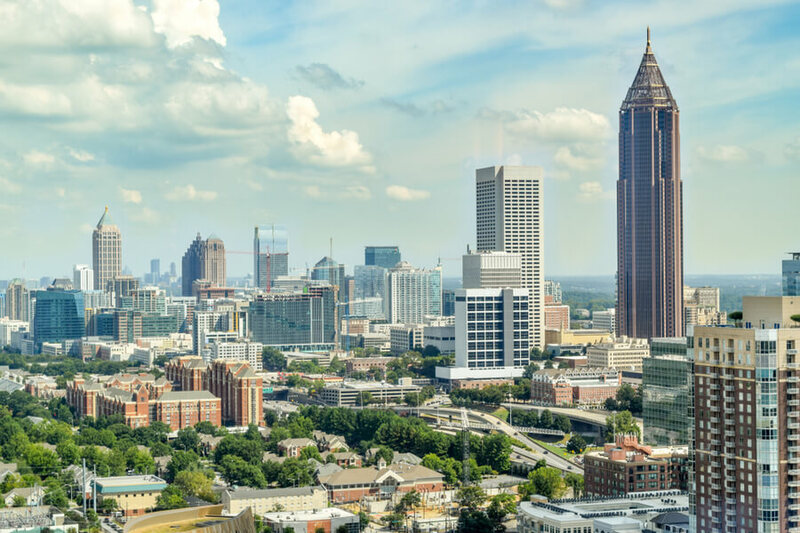 The Talbott Recovery Campus is situated at a convenient location near the Hartsfield-Jackson Atlanta International Airport. The campus is composed of apartments that provide housing and lodging facilities to clients. Each apartment consists of two bedrooms. Each bedroom can accommodate two clients and is furnished with twin beds, nightstands, desks, chairs, and closets for each one. There is a bathroom in every apartment which the residents share. Bathrooms contain all basic amenities including towels, washer, and dryer units. Each apartment has a common living room furnished with comfortable sofas and a large flat-screen TV. Clients are also offered opportunities for recreational activities in the form of table tennis, outdoor courtyards, and gazebos through which the beautiful landscapes could be enjoyed. There is a kitchen in every apartment with all basic kitchen equipment including a microwave oven and a coffee maker. Clients are provided with grocery items using which they prepare their own meals three times a day. Clients eat together in the dining room. Residents are responsible for the cleaning and maintenance of their apartments. Together, all residents take part in household chores which helps them bond with each other. This has a positive effect on their treatment as they learn to interact as close-knit community members. The Talbott Recovery Campus offers a number of treatment programs for adults and young adults with different levels of care. The cost of treatment depends on certain factors such as the individualized treatment plan, length of stay, therapies involved, and the accommodation provided. A typical treatment costs $18,000 for 30 days duration. The center works with certain insurance companies whose plans cover parts of treatment. The remaining amount has to be paid out of pocket. The admissions staff works with the clients’ insurance providers to determine the insurance coverage and what has to be paid out of pocket. Other low-financing options are also available. Talbott Recovery Campus has been offering comprehensive treatment services for alcohol, drug abuse, and co-occurring behavioral health disorders for more than 40 years now. The center offers a wide array of treatment programs that meet the needs of individuals belonging to different age groups, professions, and backgrounds. The treatment services are offered as partial hospitalization, detox, and intensive outpatient programs. Each client is treated with respect and dignity during their recovery journey as individualized treatment plans are created for them. Clients are assigned to a particular level of care which can be changed based on the client’s progress during treatment. The center also offers specialty programs that target a specific group of individuals designed to meet their specific needs. These include the Professionals Program, Pilots Program, Young Adults Program, Mirror Image Program, and Family Program. Katie has a Bachelor’s degree in Social Work from Anderson University and a Master’s degree in Social Work from the University of Kentucky. She joined Talbott Recovery Campus in 2017 as Clinical Program Director. She was made CEO in 2018. Her goal is to provide patients with the best care and treatment possible. Dr. Bedi earned his medical degree from All India Institute of Medical Sciences, New Delhi. He completed his Training in Psychotherapy at the Philadelphia Psychoanalytic Society and his Residency in Psychiatry at the Hospital of the University of Pennsylvania. He is a fellow in Addiction Psychiatry at Northwestern Memorial Hospital, Chicago. He oversees the Professional Program at Talbott Recovery Campus. Haley has a BS degree from North Georgia College, Dahlonega. She has over 15 years of experience working in the addiction industry. Before joining Talbott Recovery Campus, she ran an emergency shelter and worked with teenagers in recovery with the UHS. Her areas of expertise include working with teens suffering from addiction and dual-diagnosis disorders.